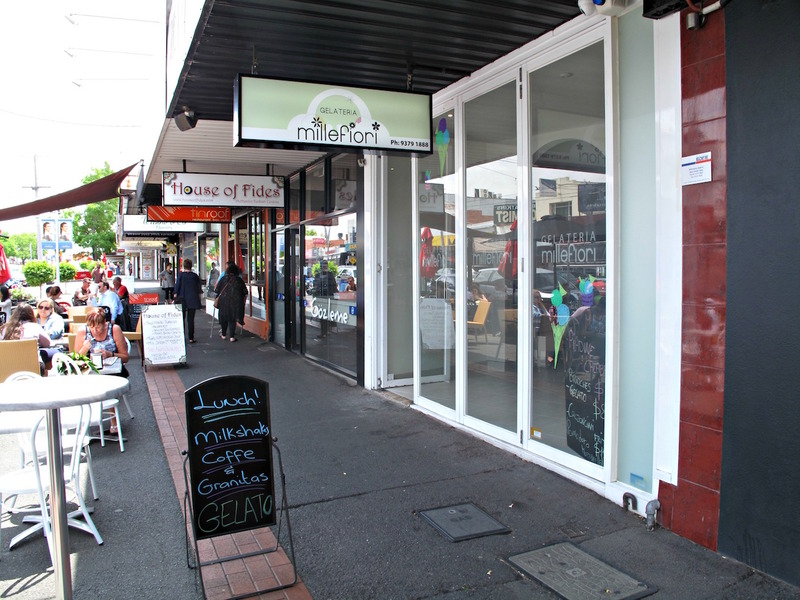 Gelateria Millefiori is a new gelati place and I’m excited to be headed there for a taste. It’s lunchtime … but truth be known, I’m not that hungry. So as I drive, I’m idly speculating as to the viability of a scoop or two as lunch. With a coffee on the side. As it turns out, Gelateria Millefiori has me covered. 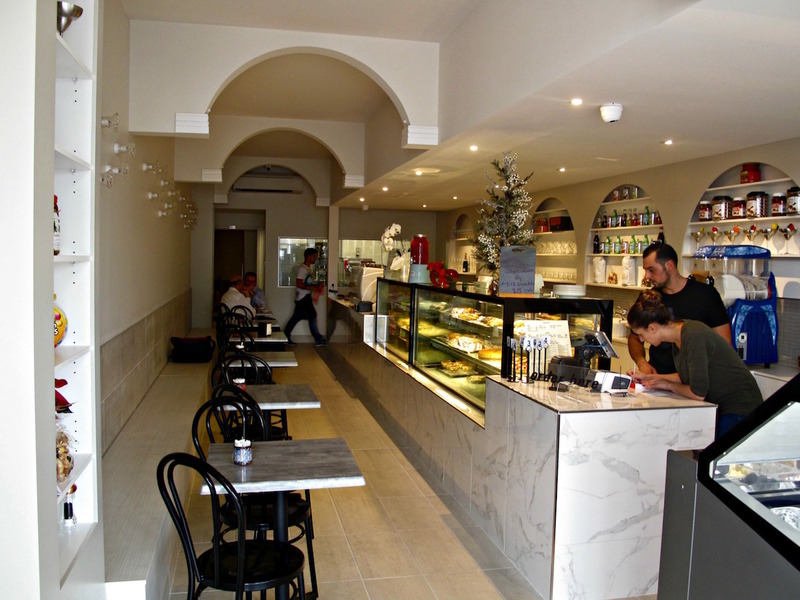 For in addition to cones and cups of a juicy line-up of gelati, some panini and good-looking canoli, the menu (see below) boasts quite a range of glorified sundaes paraded as bona fide meals. 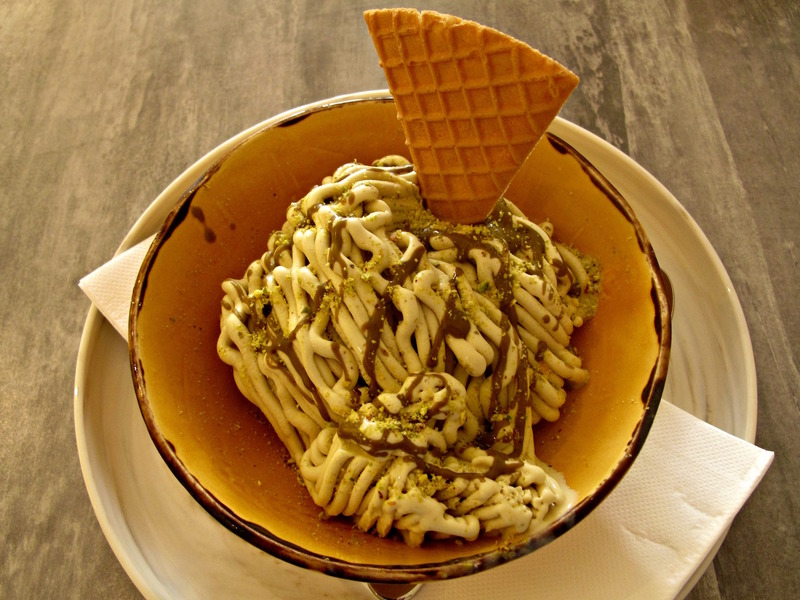 I choose the spaghetti al pesto ice ($9.90), which isn’t pesto so much as pistachio. 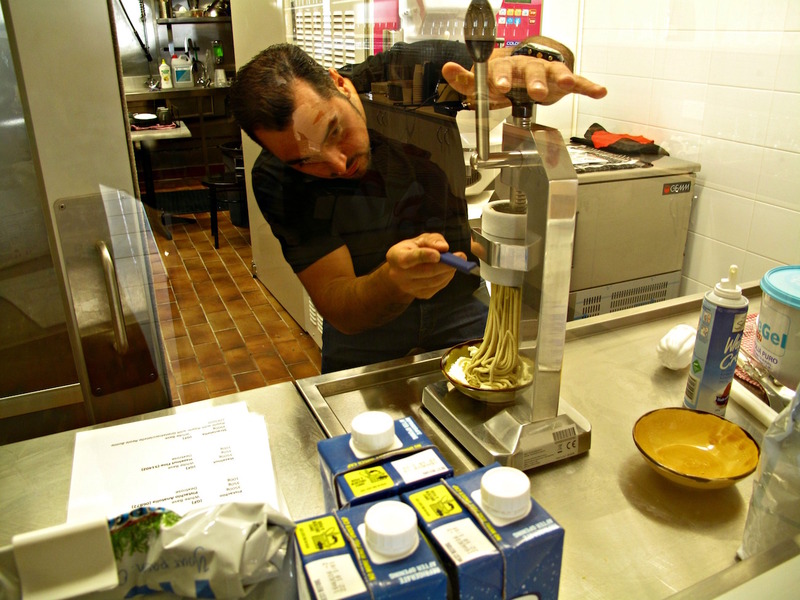 Luckily, I spy my p-nut gelati being turned into pasta – on a bed of cream from a can! Happily, they’re only too happy to start afresh for me! Well, the pasta thing seems a bit of a gimmick, even though there are toppings of pistachio chips and syrup. But there’s no doubting the creamy, rich, delicious quality of the gelati. 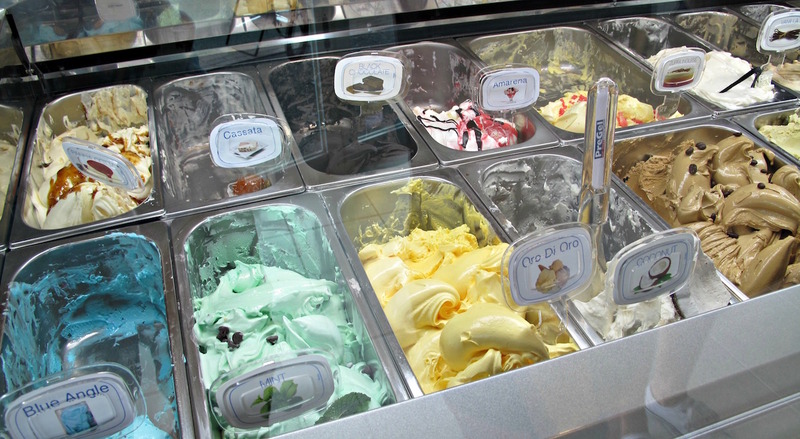 Most of the gelati flavours are familiar to me … but how about black chocolate and oro di oro? The latter is, I’m told, based on the lemon custard used in Italian baking. I have a taste of both. Check out the Millefiori Facebook page here. Interesting, would love to try it! The “carbonara” sounds fantastic, too!